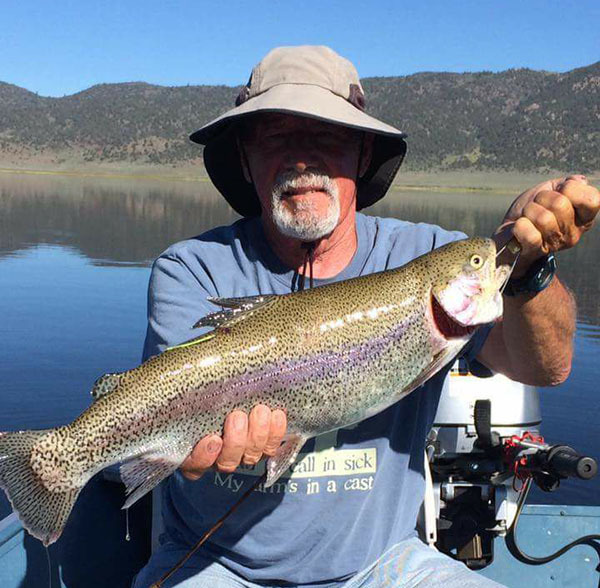 Nice lunker from Bridgeport Reservoir. Congratulations to 11-year-old Kevin Muff from Chico, Ca. 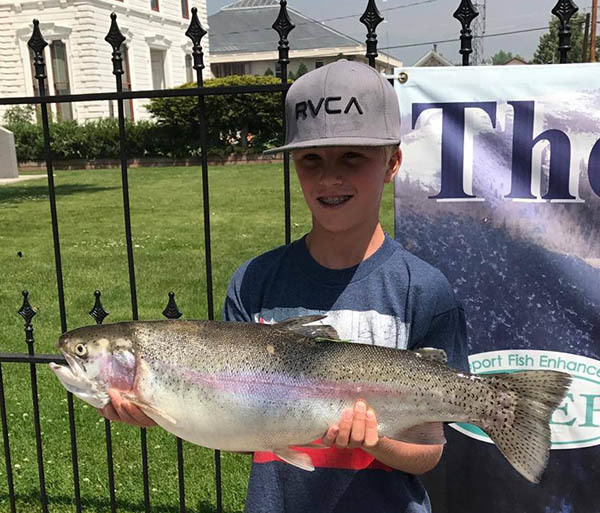 He reeled in this monster BFEF TAGGED TROPHY TROUT, 2017 # 44, weighing in at 8 lb 10 oz. Kevin and his family were guided by Ken's Sporting Goods Guide Chris Passas. Of course, Kevin also received his gift certificate for a free entry into a BFEF Tourney. 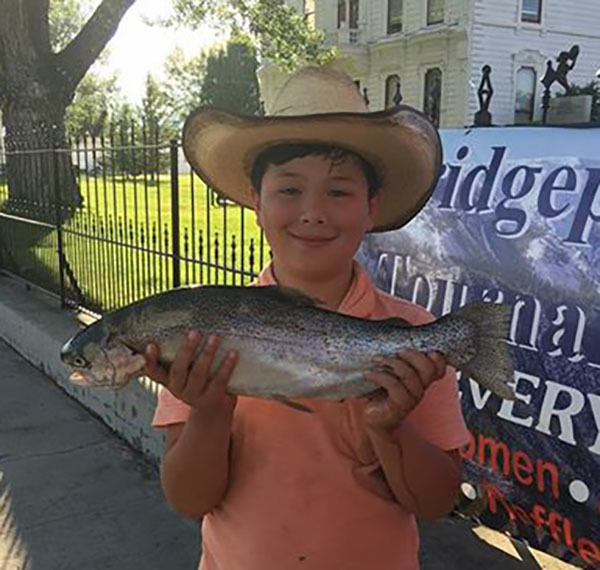 There's plenty more out there in Bridgeport area waters, come get yours!